and watch for Gary Noy’s upcoming visit to Nevada City’s own Sierra Club meeting in the fall. Just finished reading Snow on A Crocus by Joan Swift…. It is rare that the title of a book so aptly captures the essence of its inner pages. Snow on a Crocus gently lifts the reader into a dark journey told with such lyric and insight that one is seeing a flurry of snowflakes, dusting blossoms, before a more true spring, rather than a dreary unending winter. A good friend of mine often observes life is all a cultural study….and being in a new geography certainly provides ample opportunity. 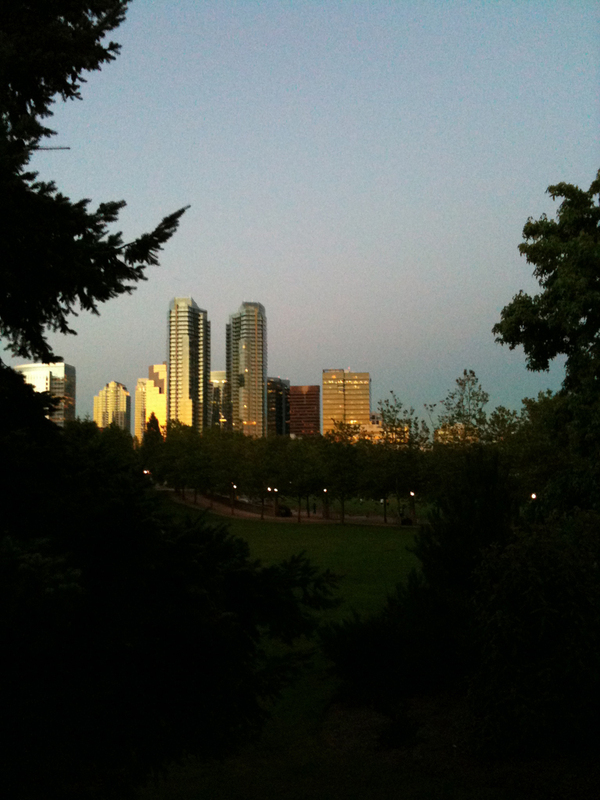 In this case, I am learning about Bellevue, Washington and the city that I have dubbed as ‘the town that Bill built’— a notion which came to me this week as I watched the sunset reflect off a sky framed by Microsoft towers while sitting outside at Bellevue Whole Foods. Next up: a visit to the Slowcoast and notes on social marketing.